Meanwhile lets just say that we are proud BURG Translations contributed a whooping 85 entries. When you’re reading a product label or instruction booklet, how much jargon do you see? Chances are quite a bit. Jargon and technical terms fill the pages of documentation across all industries. High compliancy industries are especially prone to seeing technical verbiage in content. When translating these terms, many translators get stuck or confused. Notarized Translations: What is a notarized translation and do you need it? 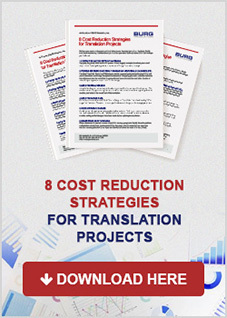 Translations extend beyond product labels, booklets, and printed materials. There are some documents that need to get sent to the authorities and officials to aid in a case or a decision. If that’s the case with your text, you might require a notarized translation.